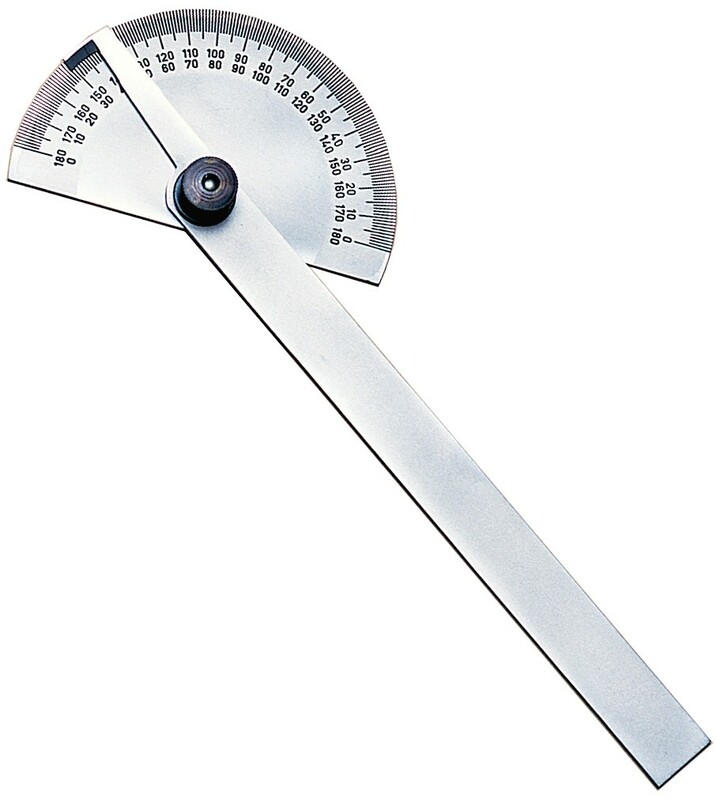 Measures Angles from 0-180 degree. Used for drawing radial lines, transferring angles and setting bevels. Head measures 3 5/16" x 2". Features 6" arm and knurled thumb lock nut. Blade secured firmly by lock nut at any angle. Made of tempered steel with satin chrome finish.